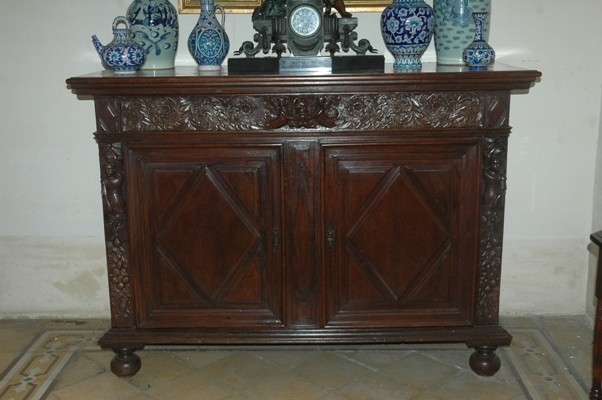 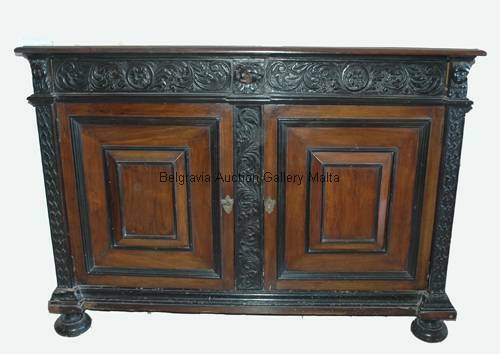 The earliest surviving furniture from the 17th century are chests and cupboards of functional form intended for constant use, having splendid panelling and carved panels of foliage and cherub masks. 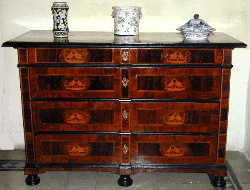 The prefer wood is chestnut and red deal. 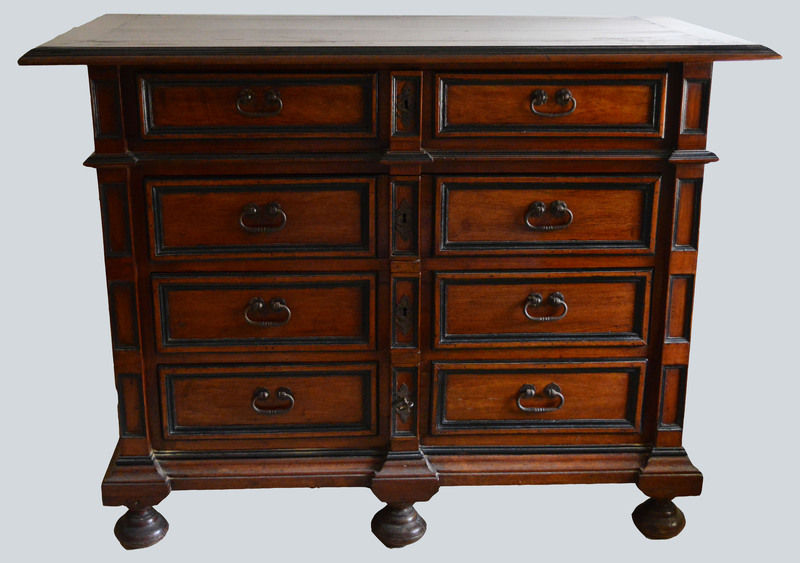 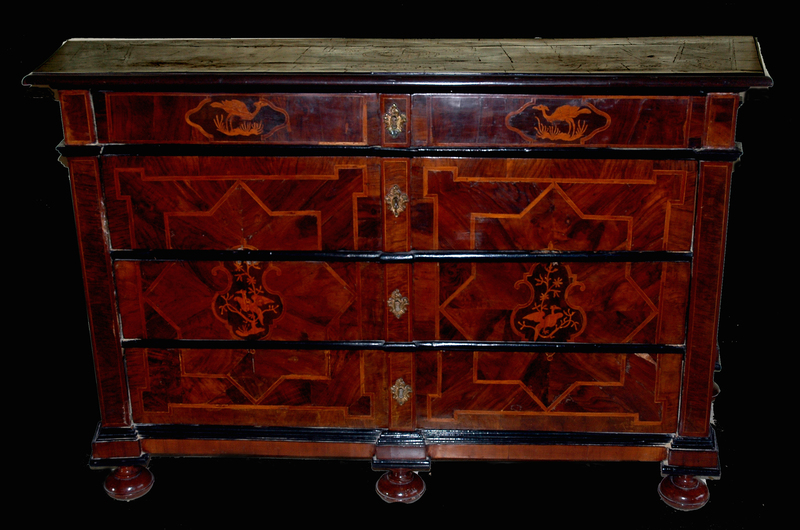 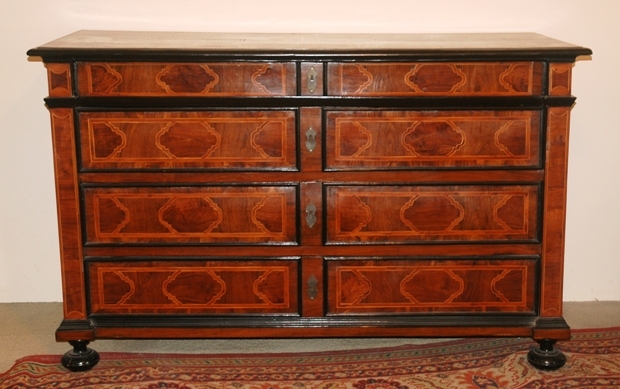 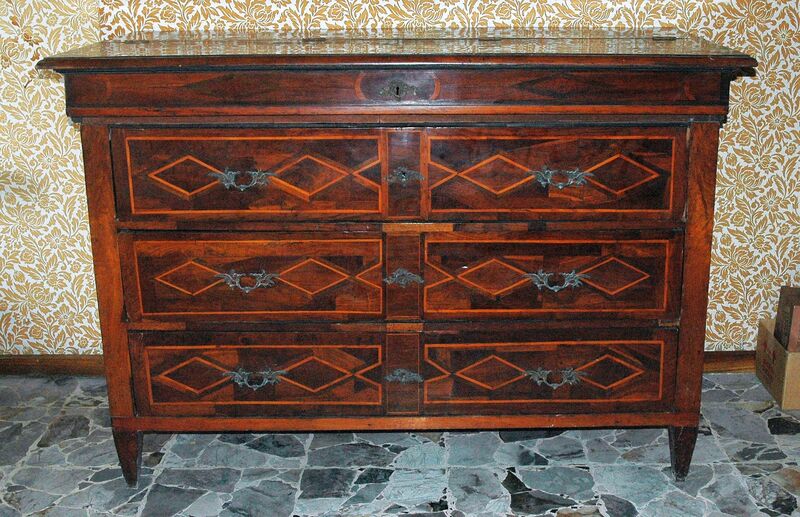 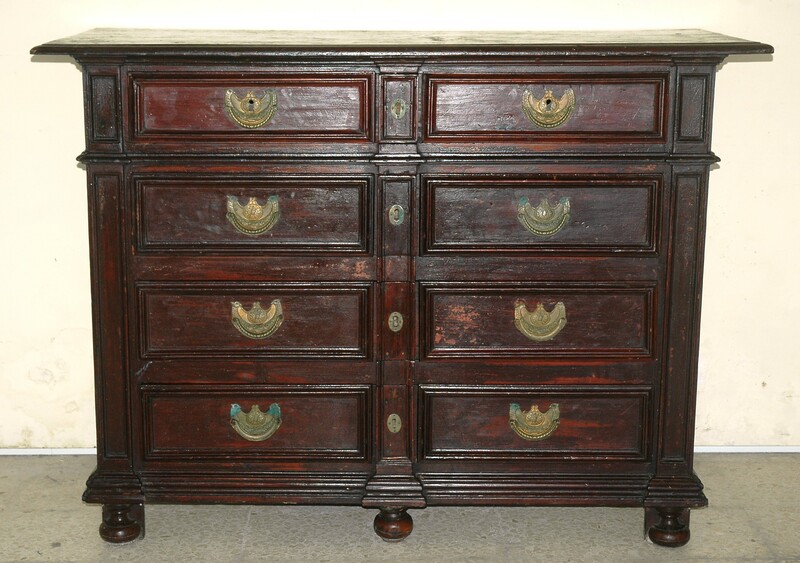 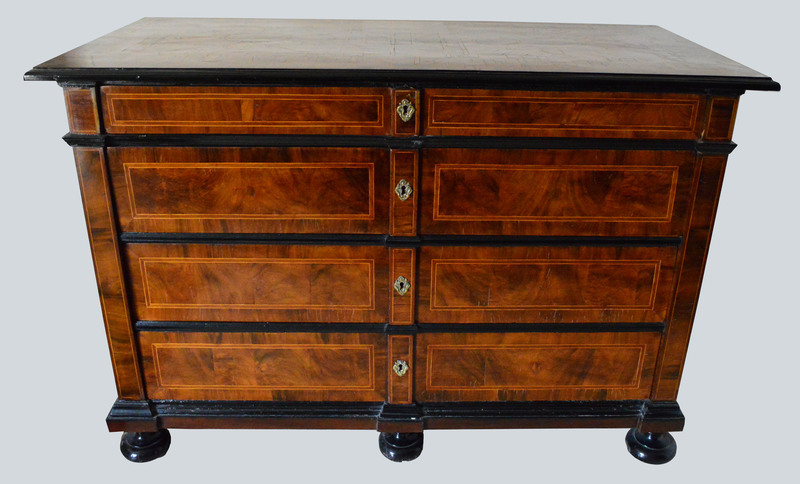 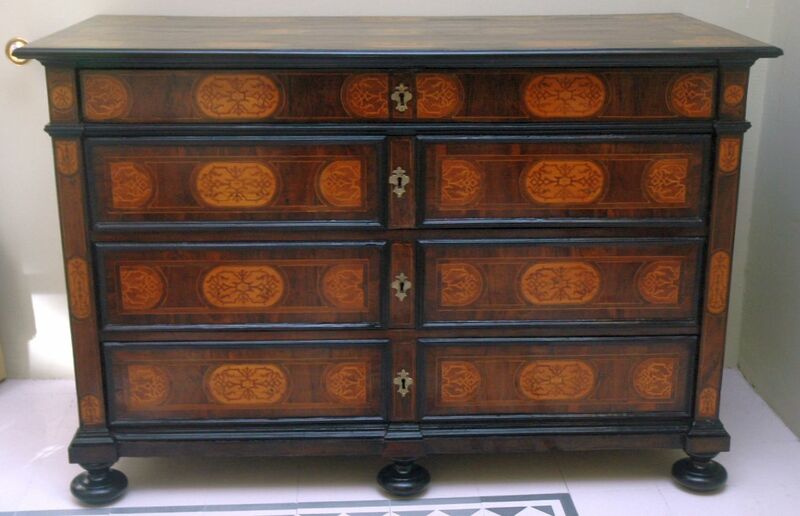 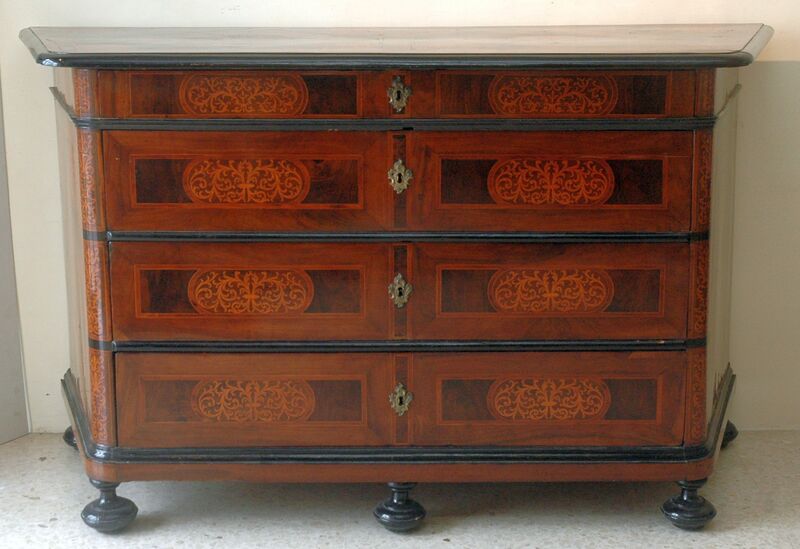 Chests and cabinets of this type, as above, earned the term ‘tas-sagristija’ a reference to church furniture found in many sacristies from the Baroque period. 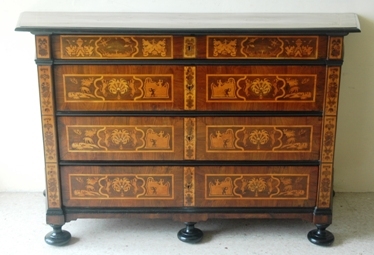 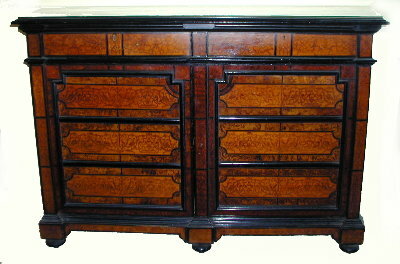 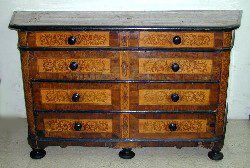 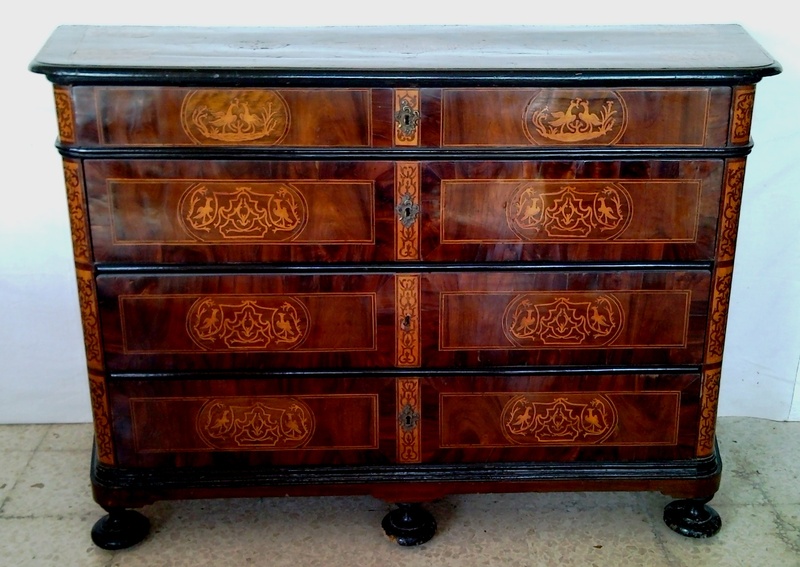 The 2nd half of the 17th century sees the introduction of olive-wood veneer; The olive-wood grain lends itself to intricate and eye pleasing lines, together with the use of extensive inlaid panels of seaweed marquetry, floral, bird and animal renditions in light coloured fruit-woods placed throughout the furniture.